When I was gifted several lengths of magnificent Yellow Cedar some months ago, I knew I had to make something nice and large to show off the beauty of the wood. I had been looking at plans and photos of various trolleys that could serve as a dining server and felt Yellow Cedar was most suited for such a project. I had a feeling this was going to be one long haul though, given my limited skills and a hundred little chores and projects to complete. But it was worth a shot. 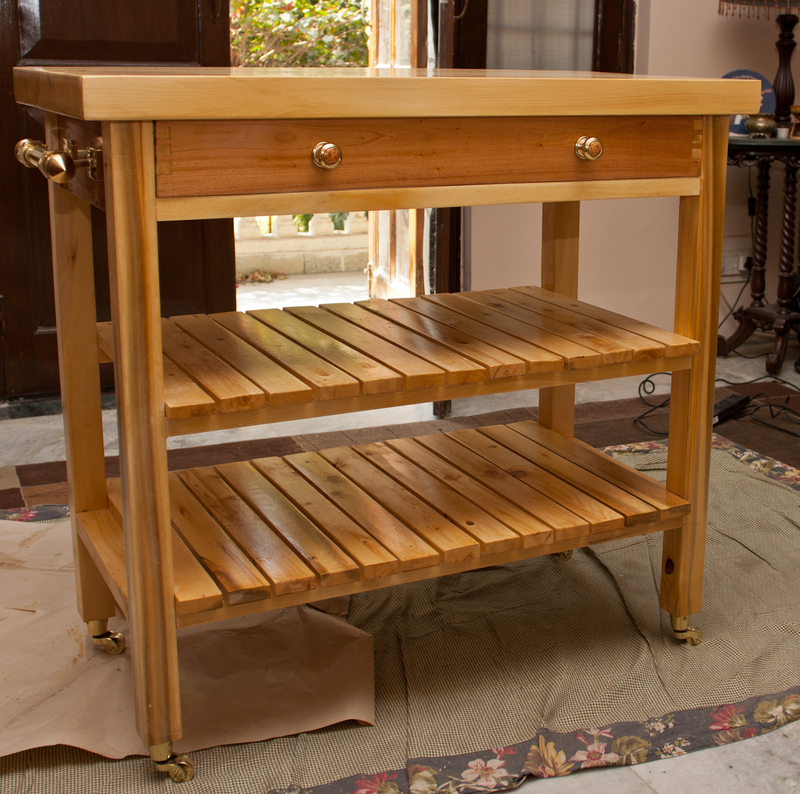 I started work on it shortly after the end of the monsoons when the humidity had declined somewhat and woodworking felt worthwhile. The aim was to make a dining server, which could be wheeled into the dining room laden with hot dishes, tableware and so on. At other times, the server would rest in the kitchen where it's ample (20 by 36 inch) top could be used as additional counter top space. I would be using Yellow Cedar for the most part with a bit of contrasting Bengal Mahogany for the drawer front and side stretchers. I started with the top which was of the following dimensions: 2 inches thick by 20" wide and 36" long. The edges would be slightly rounded off. 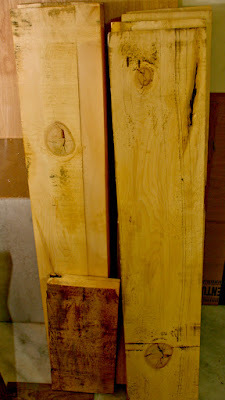 The planks of Yellow Cedar I had were 2¼ inch thick by 9" wide and 48" long. Milling these was most time consuming. I took eight of these pieces to a local lumber shop and had them roughly planed and thicknessed. The blades of the planer/thicknesser machines at the lumber shops were not sharp enough, which resulted in a lot of tear out and chipping. 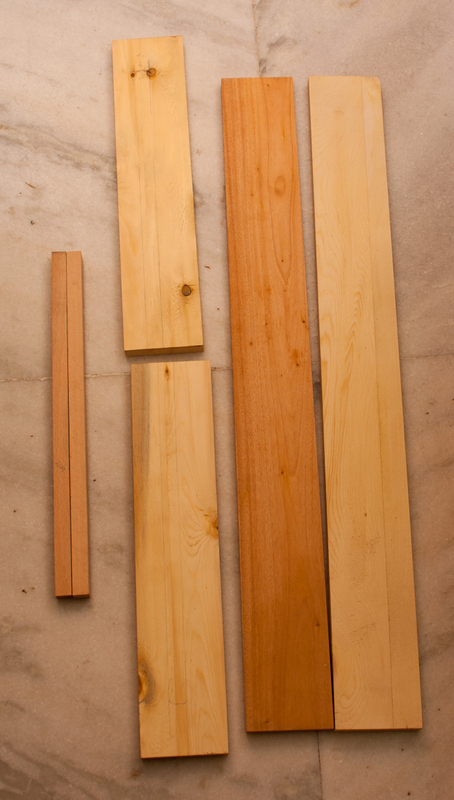 Yellow Cedar also has large, extremely hard knots at regular intervals throughout the wood. This knots chip out and getting clean, knot free 36 inch pieces involved processing a lot of planks. 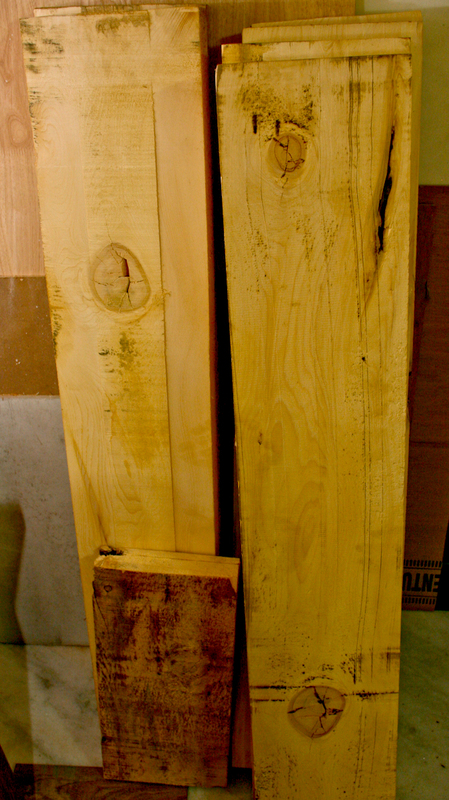 Back at home, I planed the pieces the best I could and ripped 2 ¼ inch square pieces on my bench saw. The saw blade wasn't too sharp perhaps and there were times when I had to wedge a piece to prevent it from binding. I made the top in two batches: five pieces in each. The glue up with five pieces proved difficult enough; ten pieces at one go would have been impossible. In all making the top involved a massive amount of hand planing! The frame was made of four legs, three stretchers of Bengal Mahogany on top, and seven stretchers underneath. The lower stretchers were to be attached with double mortise-tenon joints, while the wide top stretchers would be fixed with simple open mortise and tenon joints. This stage involved some amount of joinery which needed to be fairly precise or else the frame would not come together properly. I had to cut a lot of double mortises: eight double mortices (16 in all) in the legs to receive the front and back stretchers; and four double mortices for the lower side stretchers. These apart I had to cut two single mortises for the front stretcher that would go below the drawer and six slot or open mortises for the wide stretchers. Before gluing up the frame, I cut two small notches hear the top to take the drawer runners as it would be difficult to do these after the glue up. The main challenge at this stage was to ensure that all parts lined up and were square. The top by this time was sufficiently flat to use as a surface to ensure the frame was stable. Making the drawers was straight forward. I used a piece of Bengal Mahogany for the front, Yellow Cedar for the sides and a piece of 6mm ply for the bottom. I had wanted to make half lap dovetails joints for the drawer front but could not as the Mahogany piece I had was only half an inch or so thick. I used regular through dovetails for all four corners and routed a slot for the base. 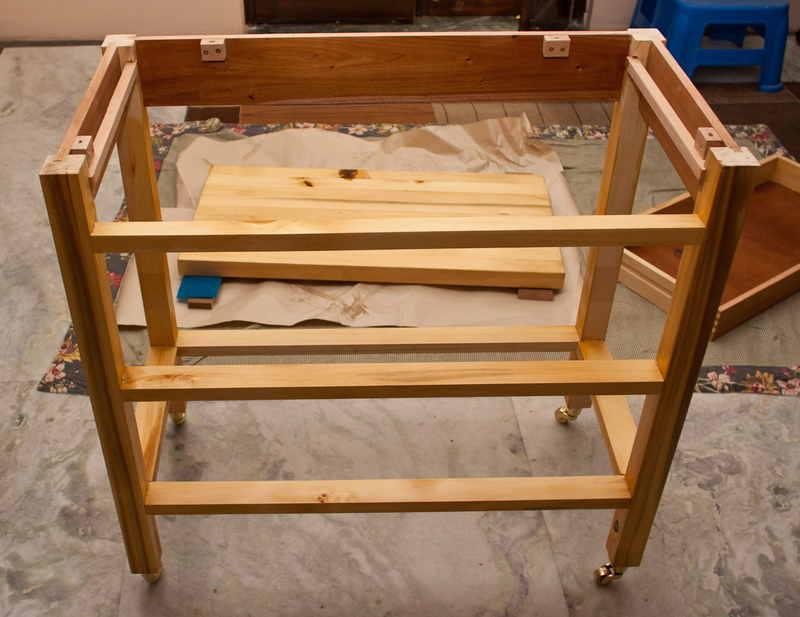 Once the drawer was assembled I chiselled out two slots on the sides for the runners. 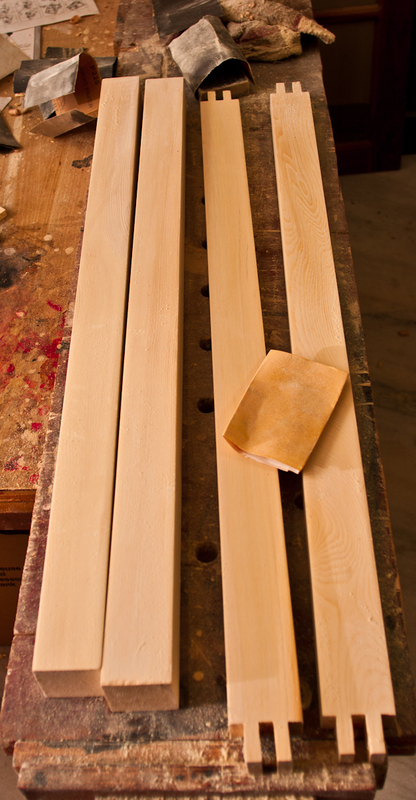 Drawer Parts: two thin drawer runners (beech), two Yellow Cedar sides, Bengal Mahogany front and Yellow Cedar back. 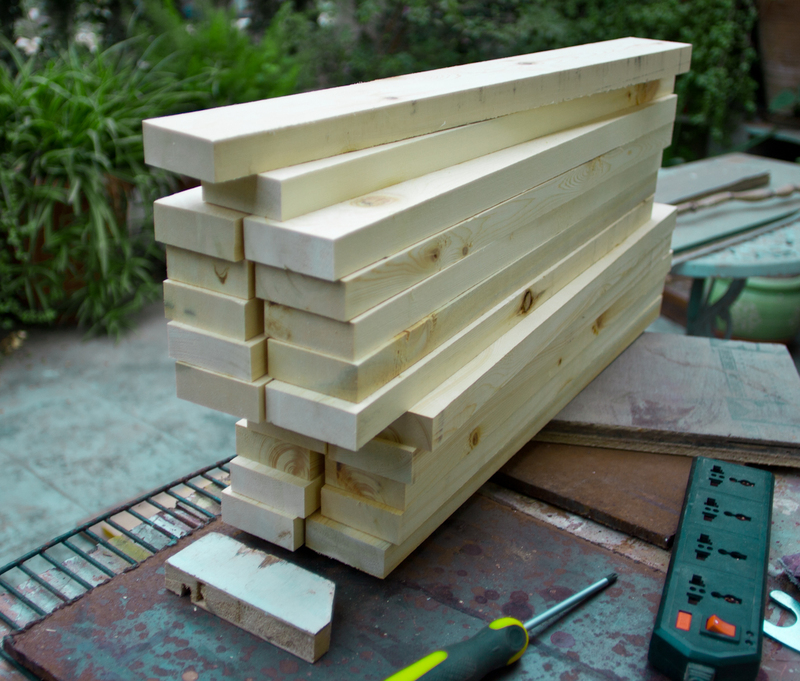 I had to cut 26 slats, plane them, round their edges, sand and finish them. 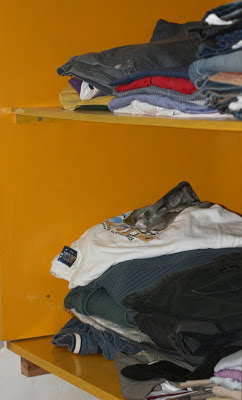 This simple task stretched into a few days as the finish had to dry between coats. To attach the top, I made four buttons out of beech and drilled elongated holes in them to allow for wood movement. These were then screwed on to the sides of the top stretchers. The two drawer runners were also glued in place. The slats were attached and finally the top. I had attached the casters at the same time because they required shaping four round pieces of wood that could be attached to the bottom of the legs. For several reasons I chose a two part oil based polyurethane for the finish. MRF makes a fine two part PU for interiors which I have used before with excellent results. I had tried three makes of water based Polyurethanes but had found them lacking in several respects. For a good interior finish, oil based PU is far better than the water based one. I didn't go with Shellac, which happens to be my favourite finish, because a dining server will take a fair amount of abuse in that it will be subject to hot, cold, wet and damp objects. Shellac does not take kindly to such treatment but PU bears it masterfully. Another reason I chose PU is because it dries to a fairly hard finish; Yellow Cedar dents and scratches rather easily and the hard PU surface will protect it. Finishing with PU is much more time consuming than with Shellac because each layer has to dry fully (which takes at least 24 to 36 hours) and then be sanded before the next coat is applied. Brushing on PU also takes some skill and since I am not terribly good at it a lot more careful sanding is required to flatten out each layer before adding another. But it works pretty well if one has the patience. The MRF PU I used gave the Yellow Cedar a warmer, richer look, which was just what I wanted. Sourcing good quality hardware in India is a big problem and I get a lot of questions of where I get mine from. There is no one source; every item has to be individually sources and some even have to be imported from the United States or China. This is a pity because a lot of very good quality brass hardware in made in India (particularly in the towns of Aligarh and Moradabad). Local manufacturers sadly do not consider selling in the domestic market and the majority of them are geared for exports. I have discovered a few exporters who are happy to sell small quantities. This took a lot of tenacity and looking up export catalogues. 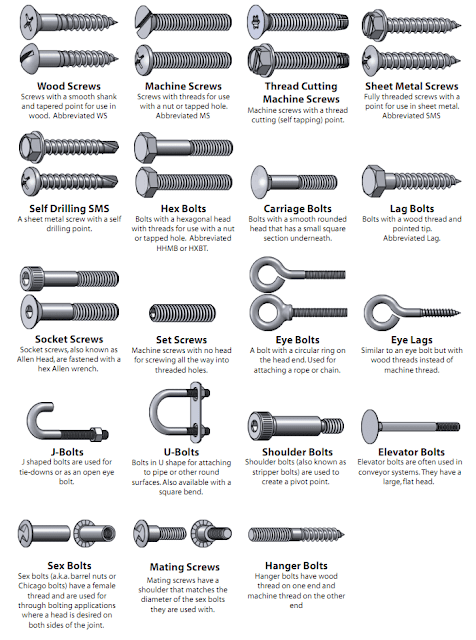 Some types of hardware like pulls, knobs, hinges and so on are very easily and cheaply available. It just requires a good eye to spot the good stuff amidst the mountains of articles available. 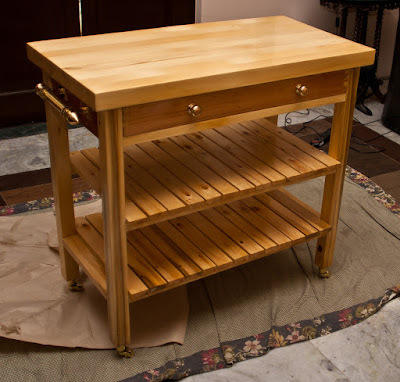 This projects required four (hard to get) brass casters, one big brass pull and two knobs for the wide drawer. Once attached, the server literally seemed to glitter! It was a great moment and one that had taken months to reach. Coincidentally the project was completed on Christmas, just in time for my Burra pegs and a piece of the fine fruit cake my wife had baked. Acknowledgements: This project was entirely due to the British Columbia Forestry Innovation Investment (BCFII) India, who kindly donated the Yellow Cedar required for this project. 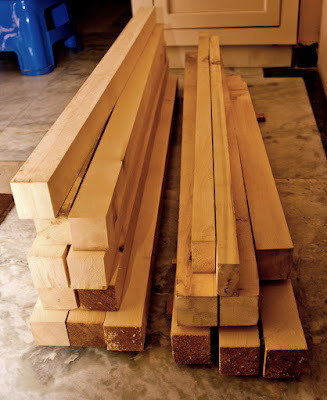 FII has been operating an office in Mumbai since 2012 to promote Canadian wood products in India. For more details see their website http://www.canadianwood.in/. This is awesome sir - a magnificent piece which does absolute justice to the piece of lumber donated to you. Thanks, Sid, glad you think so. Lot of labor and love invested in this. Simply awesome and a great Christmas and New Year addition to your heirlooms. Dear sir, I have read through each and every word of your hard work.The selection of varied woods with different tones is top notch. Work is more than a professional one. Perfect should be the word. I can see tonnes of hard work both physically and mentally in those planing, numerous mortise and tenons , doing it alone will be definitelyore time consuming one,but worth. What's those F clamps you are using? Is it from Stanley? If available online in India, please update me. Many thanks for your comments. 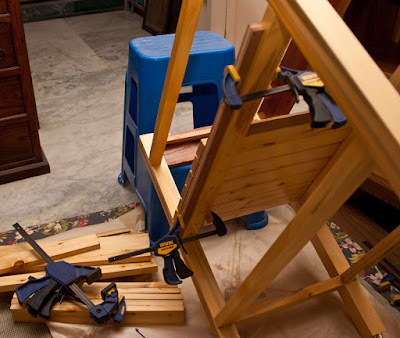 The clamps are indeed from Stanley; I bought them locally from Chawri Bazar but haven't found them online. 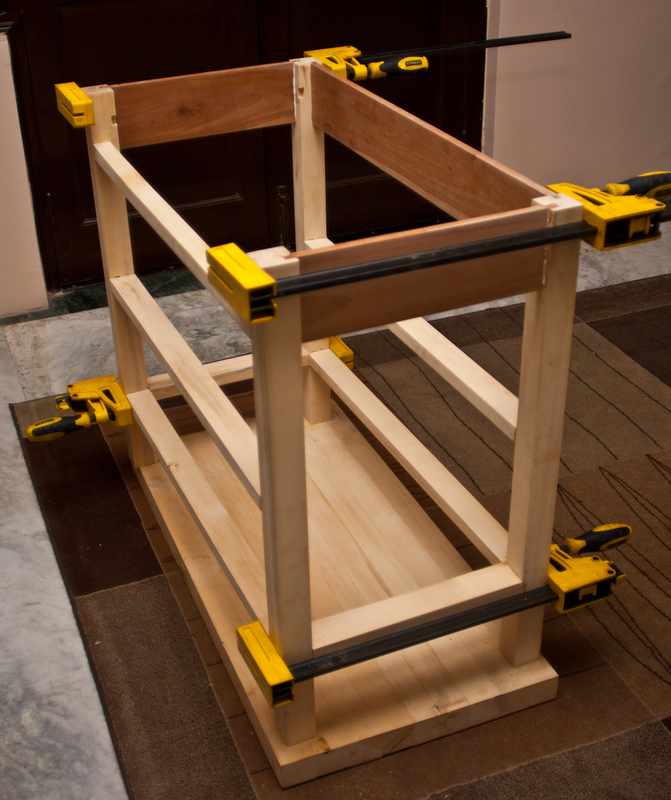 Sadly Stanley/Black & Decker does not sell their clamps in India. Bessey clamps are available online though; they are better but more expensive. 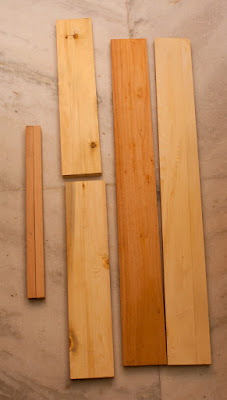 I never seen cedar before, now I want to do something with cedar. It has uniform texture and I think can be sand easily. I love natural clear finish. 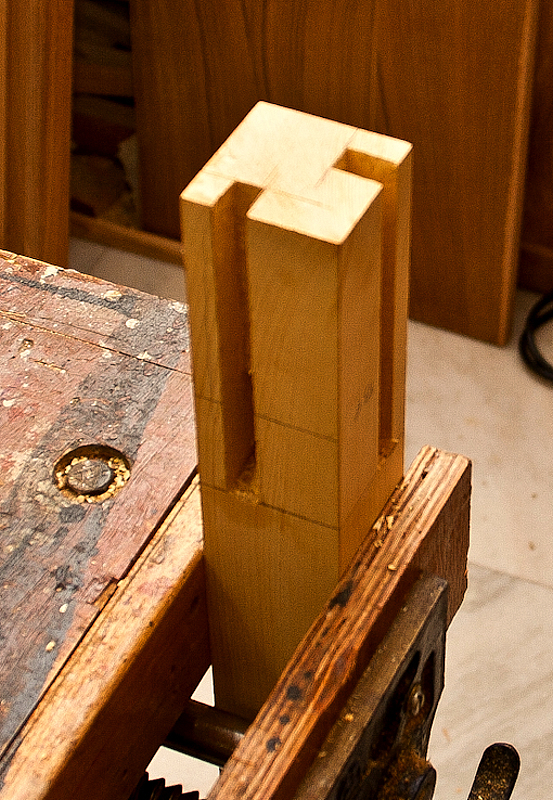 Double tenons for Stretchers is a good idea. Best of luck. You can donate left over scrap to me. Most certainly, when we catch up. Dear Indranil,I've been following your blog for some time now. I really appreciate the time you take and spend to advise fellow woodworkers. I'm also a woodworker but only into mostly cabinetry. All my cabinetry is made without metal hardware which as you would appreciate takes a lot of precision and time. My email is mathew54@gmail.com. I live in Bangalore and it would be nice to keep in touch. Most delighted to meet a fellow woodworker and particularly a cabinet maker. Look forward to seeing your work. Its beautiful. Lot of planning, labour, patience and of course skill. Amazing build Indranil every detail shows your love for wood and your craft. Absolutely love the hardware. Thanks, Abid. Let's connect soon.